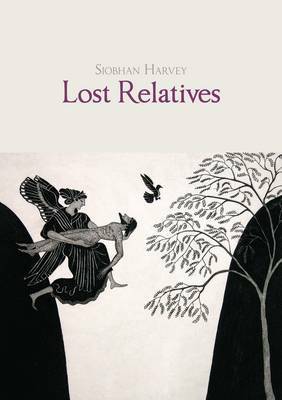 Lost Relatives, Siobhan Harvey (Steele Roberts 2011), 71 pp; in/let, Jo Thorpe (Steele Roberts 2011), 63 pp; So Goes the Dance, Stu Bagby (Steele Roberts 2010), 64 pp. A good book of poems should be more that just a collection of whatever the poet has been writing over the past few years; it should have a shape, a thematic structure that holds together between its covers just as soundly as each individual poem holds together on the page (or should it? For whenever I make such a pronouncement, it occurs to me that the opposite might be true: poetry books as junk-piles, as cluttered basements and attics, any trace of shape or cohesion blow apart by the words … for the sake of this review however, we’ll stick with my original statement …). Many current New Zealand poets attempt to give their books structure through the simple device of dividing the text up into sections. Most of the new books I’ve read this year have worked this way, their contents chopped up into bite-sized chunks – sometimes titled, sometimes numbered – for more meaningful consumption. The three works I review today are no exception. Each of them attempts to structure their content at the level of the contents page, in differing ways and with differing degrees of success. As the title suggests, this is a contemplative and, at times, melancholy book. Harvey walks a fine line between meditation and fantasy, and seems well in control of her poetry. Of the three books under review, hers is the one with the most satisfying sense of overall shape: an arc of poems in flight, cohesive, yet with a touch deft enough to remain also allusive. searchlights: why perimeter not convivial space? 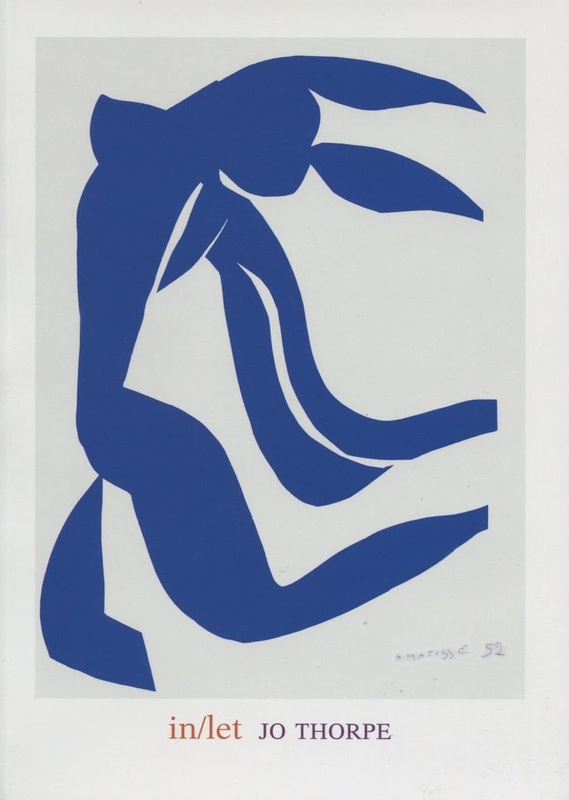 Her similes can also be odd: in the same poem that the above two lines come from (‘An ABC of allegiance’), she describes a butoh dancer as ‘intent as an ant’. While there is certainly something insect-like about butoh dance, the frenetic and industrious ant seems an inappropriate comparison. Yet butoh itself – that strange, grotesque form of dance/performance that arose out of post-atomic bomb Japan – does resonate with the slightly awkward, strained nature of Thorpe’s style. 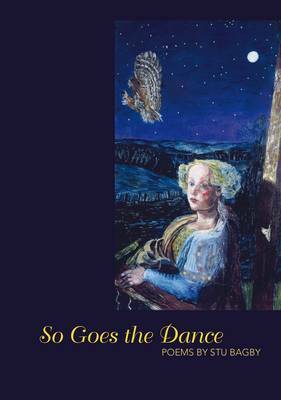 While her poems may not dance visually, at the level of line and phrase they make strange leaps and jerks, circling around their subject matter in intriguing and stimulating ways. And while the three-part structure of her text seems somewhat arbitrary, adding little to the overall structure or meaning, the book nevertheless forms a satisfying unity. It’s interesting that rhyme seems reserved for such playful moments; when Bagby turns to more serious subjects, he shifts gears into free verse. So Goes the Dance is divided up into four parts. Parts 2 and 3 focus on specific subjects: aging and death in the former; literature and the experience of writing in the latter. Part 1 and 4 however, seem more miscellaneous, essentially assemblies of occasional verse. In most of the poems, Bagby’s lyrical ‘I’ is firmly foregrounded; he writes about memories of childhood, recollections of people and of landscapes, and about scenes outside his window. Moment leads on to moment: in one poem, the act of picking beans in the garden reminds the poet of Les Murray, which leads into a recollection of Australian coins, which further sparks some meditations upon Queen Elizabeth. The poem ends up in a nicely offbeat place, as the poet, amongst his beans, imagines the decapitated head of the Queen tumbling through space. Another poem, ‘And how come it’s raining’, also experiments with surreal and uncanny imagery, and is quite beautiful as a result. To return, then, to the subject of form. Harvey’s book provides an example of a well-structured work that uses internal sections to subtle effect. In contrast, the collections by Thorpe and Bagby benefit little from their internal divisions. Their senses of shape and theme – and make no mistake, both these books do have shapes and themes – would come across just as strongly without such sectioning. In Bagby’s case, the book would be stronger without its division into parts; the focus of sections numbered 2 and 3 makes sections 1 and 4 look somewhat aimless in comparison. Removing these sections, and allowing the poems to flow on from one to another, would avoid this impression, and would allow stronger resonances to swim through each text. As readers, we don’t always need our poems packaged up into neat containers. As poets, we should remember that form and structure shouldn’t be mistaken for a well-ordered table of contents. CY MATHEWS is a poet and a post-graduate student in the English Department at the University of Otago. Oh! I am so so disappointed in this review of Jo’s work. In/let is a wonderful book – with a rich vocabulary and welcome complexity and intelligence to its poetry that probes and opens out its material in astonishing ways. ‘Her similes can be odd’ ‘odd clunkiness to her diction’ — is this the way to review a book of poetry? A review, Mr Mathews, is not about picking at the trailing thread at the hem of the dress, nor is it about the dress you expected it to be, it is a review of the whole finished piece – as it is – in front of you. Who cares about the sections really? Jo’s poems deserve a proper reading and a proper review here. On my blog, some months back, I wrote..
“Is this the way to review a book of poetry?” — sure it is. I hate the way people think reviews have to be completely adoring. I enjoyed this review, Cy! thoughtful and honest. Agree about sections too! Books don’t necessarily need sections, they can seem contrived and arbitrary.